: If you can't take the heat, stay out of this kitchen. 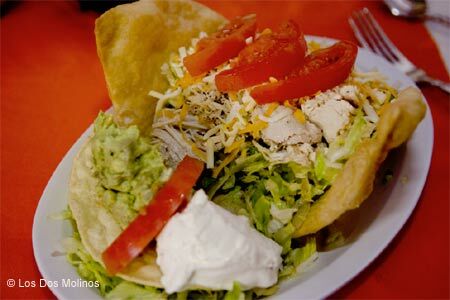 Los Dos Molinos offers genuine New Mexican cuisine, which ranges in flavor from hot to hotter to wildfire. But while the food is electric, the atmosphere is relaxed. Take your time and savor blue corn enchiladas, adovado ribs and chile rellenos. Cool off with the raspberry iced tea or a sweet, fried dough sopapilla. Other locations.